Bhima Jewellers opened 11th showroom in Karnataka at Marathahalli , Bengaluru. 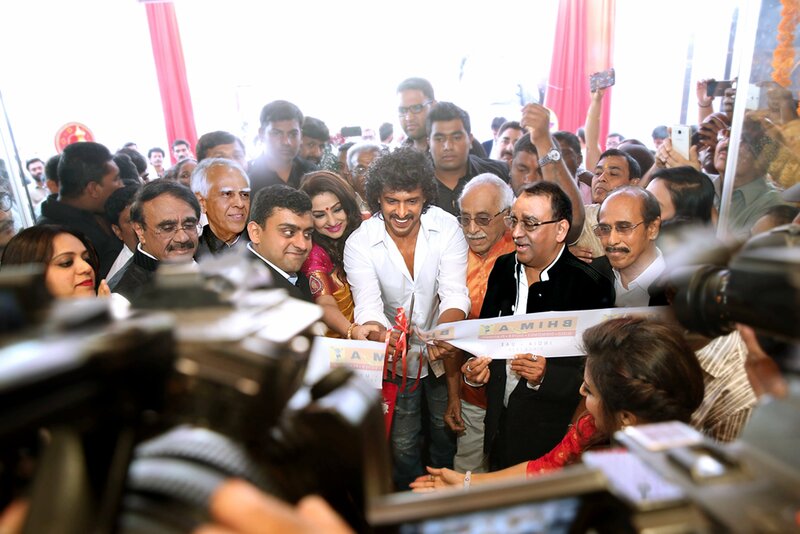 The Bhima Marathahalli showroom was inaugurated by real star Upendra & his wife Priyanka Upendra. Real star Upendra & Priyanka Upendra also handed over the keys of Renault Kwids to six lucky winners of Bhima 17th Anniversary bumper draw – the winners were chosen from each of Bhima’s showrooms in Dickenson Road, Jayanagar, Kormangala, Rajajinagar, HBR layout, Hassan, Udupi, Mangalore & Pheonix Market City, respectively.